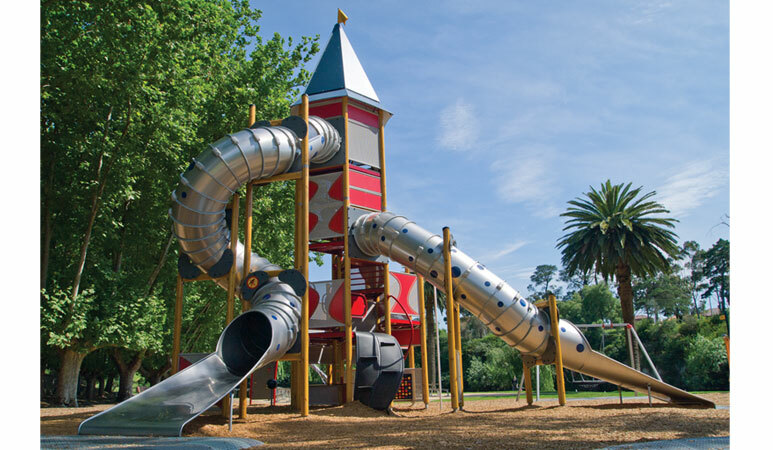 To transform the park at Coburg Lakes on Murray Road in Victoria and turn it into a family-friendly destination, Moreland City Council requested the expertise of Omnitech Playgrounds. 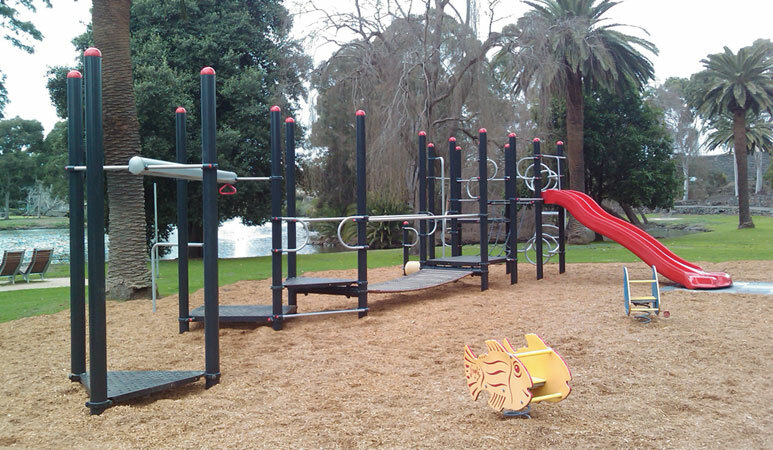 Omnitech Playgrounds is a manufacturer and supplier of innovative commercial playground equipment and in addition to supplying playground equipment for the Coburg Lakes project, the company was also responsible for refurbishing the existing play units. The design brief was to upgrade the park in order to make it family-friendly and suitable for all ages and abilities. With its range of play equipment, connection to the environment and bright colours, the park is today an exemplary project in every sense of the word. Completed in June 2011, the project saw Omnitech Playgrounds supply and install playground equipment including swings, freestanding play events and a HAGS giant tower. 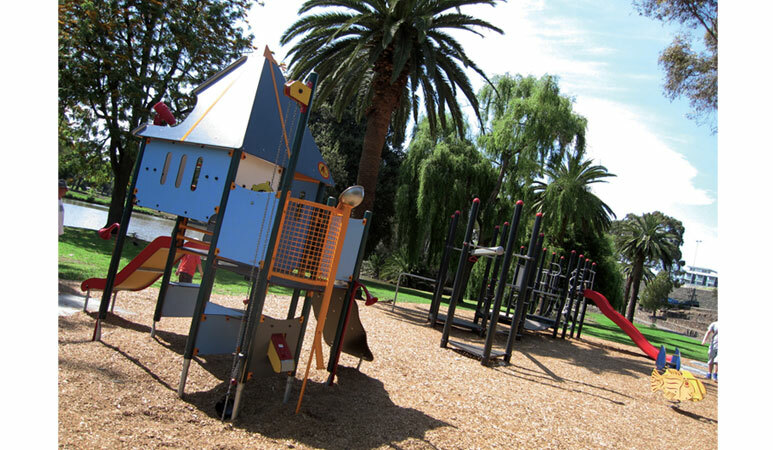 The playground consists of a mix of European and Australian-made play equipment, and features a wide range of activities to cater for families and kids of all ages. It was essential that the playground not only look good and be family and kid-friendly, but it also had to blend in nicely and be well suited to the surrounding environment. To maintain elements of the natural environment, Omnitech Playgrounds selected a tower unit with timber posts to suit the earthy feel of the surrounding trees. At the same time, they wanted to make the park look really exciting for kids, so they chose bright blues, reds and oranges which contrast well with the bright green of the surrounding oak trees. Key features of the project include a HAGS Giant Tower as well as a HAGS UniMini Playground. 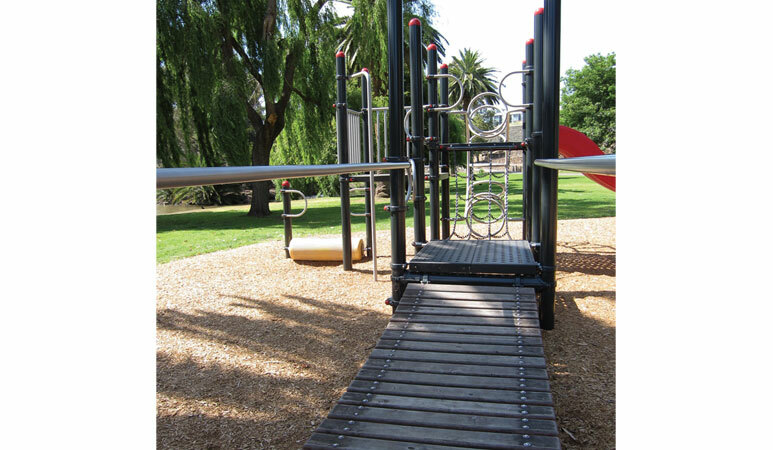 Also included in the upgrade is two swing sets, including infant and basket swings, as well as a range of freestanding equipment (HAGS ‘Pirouette’ and ‘Roty’, and refurbished springers). Following the upgrade, the park is now accessible for all ages and abilities, and features a wide range of play opportunities. With its bright colours and connection to the surrounding environment, the park is now the ideal place for the whole family.